William Hesketh Lever, later to become the first Viscount Leverhulme was born in Bolton in 1851. The son of a grocer and one of ten children, he joined his father’s business as an apprentice at the age of fifteen. Made a partner at the age of 21, he was a significant influence in expanding and developing the business over the next ten years. In 1885, together with his brother James Darcy Lever, William established the business of Lever Brothers and began manufacturing Sunlight Soap in Warrington. Needing more space to meet increasing demand, in 1888 the brothers began construction of a new factory at ‘Port Sunlight’. To be near to his new factory, William rented Thornton Manor and came to live there with his wife Elizabeth and their newborn son. Over the next 30 years William Lever took a progressive approach to his growing business, building a model village at Port Sunlight for the benefit of the workforce. 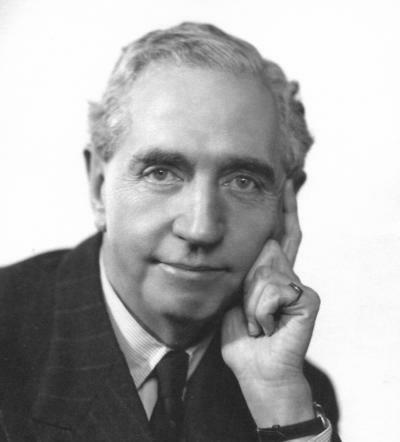 Using many different architects he built 900 houses, together with an assortment of public buildings including Christ Church, two schools, a hospital, the Lady Lever Art Gallery, Hulme Hall, Gladstone Hall, a gymnasium, a heated outdoor swimming pool, various clubs, and several bowling greens, some of which are still being used today. Having moved to Thornton Manor, Lever began buying much of the surrounding farmland, establishing what is today the Leverhulme Estate. In the villages of Thornton Hough, Brimstage, Raby and Storeton he built estate cottages for his growing agricultural and domestic workforce, using many of the same architects he used at Port Sunlight. Here too he established various public amenities including St George’s Church, a school, the village club, the post office, a new smithy and, in each of the villages, a village green. Only Thornton Hough’s village green survives intact today. In 1893, Lever bought Thornton Manor and immediately set about altering it over the next 20 years to create the house that stands today. Although he had several other homes – at Rivington near Bolton, at Hampstead in London, and later in the Outer Hebrides – William Lever always considered Thornton Hough his home. Most of his family eventually came to live in the village and many are buried in the graveyard at All Saints Church. Lever was made a Baronet in 1911, becoming Sir William, and Elizabeth became Lady Lever. She died very suddenly in 1913, so when he was made a Baron in 1917 and then a Viscount in 1922, he combined his own name with his late wife’s maiden name to create the title ‘Leverhulme’. Lever was always planning for the future, and after Elizabeth’s death he continued developing the farmland and buildings on the Estate, including new cottages in Brimstage and Raby. One of the other most significant visible legacies is the system of driveways originally installed as infrastructure for new homes between Storeton and Thornton Hough that were never built. The only section of roadway finally adopted, surfaced and in regular use today is the Lever Causeway from Higher Bebington to Storeton. 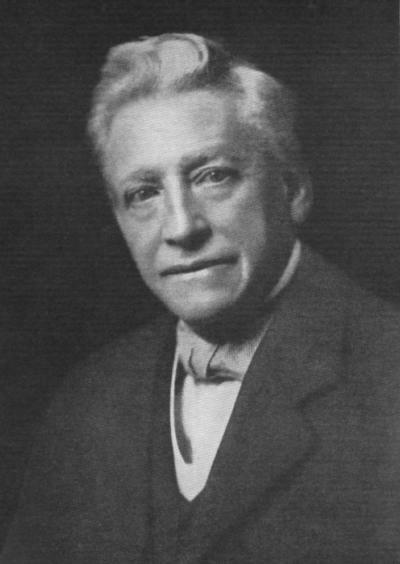 William Lever died in 1925. Stewardship of the Estate then passed to his son William, the 2nd Viscount Leverhulme. William Hulme Lever, who inherited the Leverhulme title on the death of his father in 1925, continued the traditions and progressive approach established by his father. He built various homes and facilities for the benefit of the community, including the Women’s Institute in Thornton Hough and the Village Hall in Brimstage. Some land was sold – principally the estate at Arrowe Hall, which his father had agreed to before his death. This went to Birkenhead Corporation and has since provided sites for a public park, the golf course, playing fields, the cemetery, and more recently Arrowe Park Hospital. Other land was simply given away, such as Whitfield Common in Heswall, which is still enjoyed by residents. His other principal donation was land and property, including the village school, the village green, St. George’s Church and various other properties in Thornton Hough to enable the church’s continued financial future. William Hulme continued his association with Port Sunlight and Lever Brothers and was a leading figure in the formation of Unilever in 1929. As High Sheriff of Chester and Deputy Lord Lieutenant of Cheshire he was committed to the wider area and served in various capacities in many national and local organisations including the Wirral and Cheshire Agricultural Societies, the Cheshire Scouting Association, the Bromborough Society, Barnston Men’s Club, and Thornton Hough’s own British Legion. His sudden death in 1949 in America during a round-the-world business trip meant that his son, Philip, was elevated to the title and stewardship of the Leverhulme Estates rather sooner than he had anticipated. Philip William Bryce Lever, the 3rd Viscount Leverhulme, was born in Bebington in 1915. His whole life was spent in Wirral and was very much dedicated to local people and organisations, to his tenants, and to the County of Cheshire. Living at Thornton Manor for 50 years, he was a significant local employer and many Wirral residents enjoyed his hospitality at various events as a result of his association with Clatterbridge Hospital League of Friends, the local Chambers of Commerce, the local Rotary Club and the British Legion, and countless other clubs and societies. As a young man, Philip had begun training as a land agent on the Royal Estate at Sandringham. Interrupted by military service, he returned to Wirral after the war to serve as land agent to his father. One of his particular interests was dairy farming, and over the years he built up a significant pedigree herd on various Estate farms. Philip was devoted to the Estate and its development, building numerous cottages, and many remember him with affection for his attention and support to his tenants – a tradition carried on today by Leverhulme. Philip also developed a national reputation as a racehorse owner and breeder. He served for many years as Senior Steward of the Jockey Club and Chairman of Chester Racecourse. The Philip Leverhulme Equine Hospital at Liverpool University’s Leahurst site near Neston is a testament to his lifetime involvement with horseracing, veterinary studies, and the training of vets. Built towards the end of his life at a cost of £1.4 million, it is one of the busiest and most respected equine hospitals in the UK, treating over 2,000 horses a year, and was made possible through various bequests including a sizeable donation from his own Charitable Trust. Soon after the death of his father, Philip was appointed Lord Lieutenant of Cheshire, a post he held for 40 years. Like his father before him he was patron and president of numerous national and local organisations. He was both Pro-Chancellor and Chancellor of Liverpool University for many years, and was appointed a Knight of the Garter in 1988 for his services to the community. Philip was also responsible for the creation of Lord Leverhulme’s Charitable Trust to support charitable organisations, giving preference to those located in Wirral, Cheshire, Merseyside and Lancashire. Philip Lever died in 2000, and as he had no male heirs the Leverhulme title became extinct. He is survived by three daughters. The family trustees continue to take a great interest in the running of the Estate to perpetuate the legacy.